How Do Classic Car Title Loans Work? Classic Car Title Loans are specialized title loans focused by historic and classic vehicles. These are vehicles that have been verified by the State of Arizona and have specialized License Plates. They also have specialized Titles that verify the historical value of the vehicle as well. 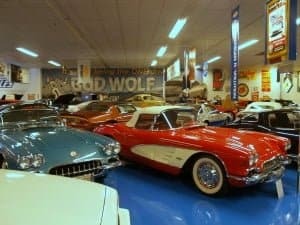 What Can Qualify for Classic Car Title Loans Glendale Owners Have? In most cases, we continue to state that a Historic License Plate. This includes classic cars like the Model T, to famous roadster vehicles of the late 1950s and the like. One such example, but not limited to, is the Cadillac Seville. This should give a general idea of what we are looking for. Also, since these are classic vehicles, we are going to be strict in terms of cosmetic damage. These are the vehicles that are seen as historical, so any major blemishes will need to get taken care of before visiting us. We want to make sure we give you the full loan-to-value possible. Finally, if you have further questions, we recommend visiting our Frequently Asked Questions page. There are several documents to have when dealing with Classic Car Title Loans. First is that of the customer’s Driver’s License. After this is the Proof of Insurance. This is important as we are making sure you are the proud owner of a classic vehicle. Finally, we will need to verify the historical authenticity of the vehicle, so any and all documents detailed by the State of Arizona labeling it a classic car/automobile is REQUIRED. Once these documents are provided to us, we can proceed to getting you the money you need from us. Glendale car owners have trusted the title loans provided by Phoenix Title Loans for over ten years. While some may say that’s a drop in the bucket, it is a testament to the trust residents of Glendale place in us. From our title loan programs to our quality customer service, Phoenix Title Loans is a business that keeps offering back to the community that supports us. So don’t be afraid to get the cash you deserve from Phoenix Title Loans. We’re here for you!